Imagine being able to see what you would look like in 50 years time – that is magic makeup. Saying the words “‘Til death do us part” may seem like the easiest part of the wedding, but what does aging together actually look like? YouTuber and makeup artist Stephanie Nadia decided to show real-life couples what they’d look like 50 years from now. Watch the results in the heartwarming video below. Katy Perry Is Launching Her First-Ever Makeup Line With CoverGirl! Learn All About Her Katy Kat Collaboration! Exciting news that everyone has been waiting for and that is Katy Perry Makeup Line. After several wonderful years of BEING the face, I now get to CREATE the face! The collection boasts 13 different demi-matte lipsticks — including a bold, black shade — and 11 of those hues are already available for pre-sale at Walmart! Ch-ch-check out all the creative colors (below)! “Personally, I love a matte finish more than a gloss because a gloss gets all over everything. I want to put my lipstick on once in the early morning and not have to think about it for quite a few hours, you know? But there’s more to KP’s line than lips! Already picking out your fave Katy Kat products? Well they’re set to hit shelves in July! With the correct application, makeup for small eyes can create an illusion of bigger looking eyes. Almost every girl looks for tips on how to get her eyes look bigger and there are many makeup techniques and beauty tips that can help us achieve that illusion. If you want to make your eyes stand out and appear bigger, make sure to keep your eyebrows well-groomed all the time. Eyebrows frame your eyes, as well as your whole face, therefore its very important to keep them in great shape. Beautifully groomed eyebrows can make a tremendous difference in the way your whole face looks. The skin of the lids can ruin the makeup by producing too much skin oils, which will smudge the makeup layers. In order to prevent such a disaster, you should apply a makeup primer on the lids before any application of makeup products. The primer has one very simple, but effective function – it absorbs the skin oils before they reach the makeup and ruin it. Once the lids are well prepared with the primer, you are allowed to apply the first layer of makeup (finally). Cover the lid with bronze color or something like that. This base color must be neutral and its shade must be close to the color of your skin. Then, take a colored eye pencil and draw a line at the crease or a little bit above it. Smudge this line with a brush. Try to create a winged end at the outer corner of the eye. If needed, reapply the color and smudge again, pull the color only to the brow, not to the lashes. 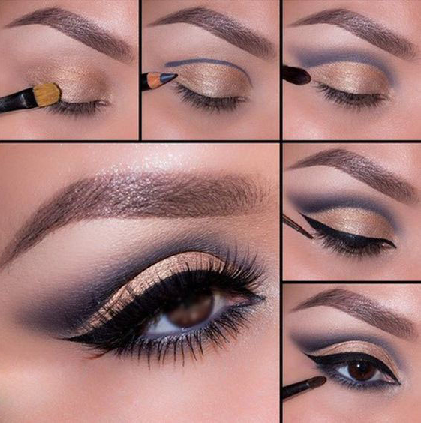 Finish the look with a bold and winged eyeliner. Then, move to the bottom lid and apply the same color as the one at the crease area. Apply thick coat of mascara and enjoy this look. This is how you get a bigger lids with a simple makeup design. Enjoy it! What does the Sandbag Technique do? When you work super-hard on your makeup, the last thing you want is it to smear an hour later. No thanks! It will keep your makeup from smudging and creasing, though it does have a bit of an unfortunate name. It’s called sandbagging – or the Sandbag Technique. It stops eyeshadow, kohl pencils and mascara from smearing onto the lower lash line. This will includes lower mascara too! Its really very similar to “baking” but with this technique you are going right to the lower lash line. As far up as you can go. Then allow it to sit for a while, then brush off. NOTHING will smear, smudge or move again! Promise! It’s pretty easy to do, too. Once you’ve applied your concealer and foundation, put some loose powder onto a sponge or Beauty Blender. Apply the powder under your eyes close to your lower lash line. Then, do the rest of your makeup. The powder absorbs the oil in your skin and creates a sort-of dam, keeping makeup from smearing into it. Finally, brush off the excess powder. So, how is sandbagging different than baking? Makeup artist Wayne Goss explains it really well in his video tutorial. This technique is helpful for lower eyelash makeup — mascara, liner, etc. — so you want to get SUPER close to the lash line. That’s really where it differs from baking. Baking also has more of a highlight effect, where as with sandbagging, you really are just trying to keep other makeup out. So, how is Sandbag Technique different than baking? Makeup artist Wayne Goss explains it really well in his video tutorial. This technique is helpful for lower eyelash makeup — mascara, liner, etc. — so you want to get SUPER close to the lash line. That’s really where it differs from baking. Baking also has more of a highlight effect, where as with sandbagging, you really are just trying to keep other makeup out. Watch Makeup Artist, Wayne Goss, demonstrating the Sandbag Technique in the video below. Are You Applying Your Concealer Correctly? Applying Concealer is one of the most commonly used makeup products of all times. 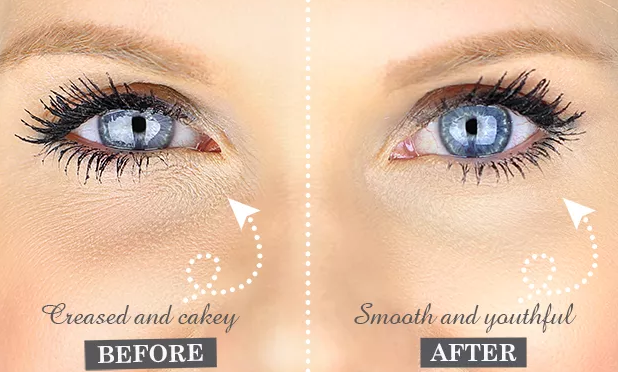 Applying Concealer has the power to hide even the worst flaws of your face, which makes it perfect for the tough mornings when you have to deal with dark and ugly circles under your eyes. But there is one simple problem, occurring when the concealer is applied on the skin under the eyes – the “smile” wrinkles. 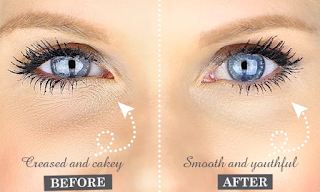 Usually, they are not noticeable, but when the applying concealer in the wrong way, the wrinkles are enhanced and now they can be simply recognized. That’s why you have to learn how to apply concealer under the eyes the right way. The most important step is to moisturize the skin before the application. I recommend you to moisturize the area under the eyes with an anti-aging cream. Don’t panic! It is recommended not because you have wrinkles, but only because this cream can prevent them. And also, for the ladies who already have some fine lines on the skin, the cream will tighten the skin temporarily, which will contribute to the better texture of the concealer afterwards. Then apply the concealer the right way – not on dots, but on curved lines. Start by applying the line at the inner corner of the eye, right on the tear duct. Then, pull the concealer down, under the eye. Smudge it with a sponge or very soft brush, but don’t smudge it with a finger, because the skin of the fingers is too rough and the texture won’t create a smooth surface of the concealer. All done! Then, continue the makeup application as usual – lid makeup, lip color and brow filler. You can see that the anti-aging moisturizer can create an amazing look, which means that you must use it more often. Enjoy!